War of the Rings: Is the new “Lord of the Rings” Blu-ray the One True Edition? Has Sauron struck again? From the furious debates playing across DVD/Blu-ray forums, where some the most passionate fans and exacting collectors can be found registering their praise and displeasures with upcoming and new releases (often in hyperbolic dimensions and a hostile tone), you might assume that there’s a new war brewing over the fate of the One Ring on Blu-ray. 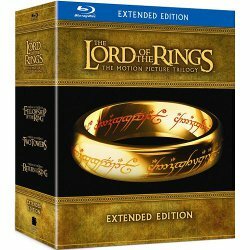 Warner released the theatrical editions of the The Lord of the Rings trilogy on Blu-ray last year but held the Extended Editions for 2011. Not just some longer version with deleted scenes cut back in, the Extended Editions were painstakingly reedited for home video by Peter Jackson with new special effects, a reworked score by Howard Shore to match the new rhythms of the narrative and some lovely scenes that were cut for time in the theatrical version of the film but add depth to the characters and the scope of the epic. They were released on DVD years ago. For Blu-ray release, Warner returned to the film’s original 2K digital intermediate files (the final digital edition before striking film prints for theaters) for the source of the Blu-ray master. Here’s where it gets complicated. While the masters of The Two Towers and Return of the King were completed digitally, The Fellowship of the Ring was partly digital master but mostly completed on film, where it was color-timed photochemically rather than digitally. For the theatrical release on Blu-ray, Warner used a digital master taken from a release print, but for the extended edition, Jackson wanted to rescan the original elements to get the most visual detail and clarity, and them retime the color for home viewing, adjusting the brightness, intensity and hues to best effect on TV monitors. So while The Two Towers and Return of the King were mastered from the same source as previous release, The Fellowship of the Ring was not. That’s the simplified version of a very complex, but the upshot is that the Fellowship of the Ring: Extended Edition Blu-ray looks different from all previous incarnations (film, DVD and Blu-ray) of the film. The works of Stanley Kubrick never failed to generate debate and, at times, deep-seeded controversy when they arrived in theaters, so it’s no surprise that they have generated almost as much debate (though for entirely different reasons) in their home video releases. Kubrick was a perfectionist in all areas of his filmmaking, including presentation, the one arena over which he had very little control. He could and did set the desired specifications for proper projection but couldn’t enforce them or, given the realities of projection standards in the U.S. and elsewhere, even always count on theaters being conducive to following them. His preferred aspect ratio for his post-2001 releases was 1.66:1, a standard format in Europe but not in the U.S., where most theaters routinely set non-anamorphic films at the 1.85:1 standard. While Kubrick was alive, he insisted that the DVD releases of his films be formatted at his preferred specifications. Even so, Warner Bros. was raked over the coals for their initial DVD release of his films, which simply reused old laserdisc transfers rather than freshly-mastered high-definition editions. 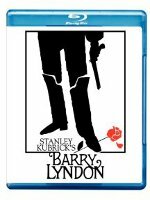 Now there is a hue and cry from a small but vocal sector of the critical community over the Blu-ray release of Barry Lyndon. And the debate, not surprisingly, has gotten very passionate and a little personal. The whole thing was kicked off when Jeffrey Wells at Hollywood Elsewhere (always good for explosions of indignation) blew a gasket over the specs on the Blu-ray cover, which listed the aspect ratio at 1.85:1: “storm the barricades!” Glenn Kenny, on his blog Some Came Running, tried to slow the rush to judgment by looking at the disc itself, which he found at first glance to be 1:66:1. Jafar Panahi Freed – But For How Long? UPDATE May 26: Jafar Panahi Freed! According to a report from the Associated Press, Iranian authorities have released Jafar Panahi. He’s been freed on $200,000 bail, but his troubles may not be over. According to the report, the indictment (which is still sealed; the “crimes” he’s been accused of have still not been made public) will be sent up to a revolutionary court for future action. It seems clear, however that the pressure put on the government through petitions and, especially, the outspoken comments of Abbas Kiarostami and Juliette Binoche from their platform at the Cannes Film Festival was a significant factor in this measured victory. More from The New York Times, The Los Angeles Times, The Guardian and Keith Phipps at the A.V. Club. UPDATE May 24: The Agence France-Presse (AFP) reports that director Jafar Panahi will be freed on bail, according to Tehran’s public prosecutor Abbas Jafari Dolatabadi. UPDATE May 21: According to a report from Agence France-Presse (AFP), will receive a bail hearing on Saturday, May 22. UPDATE May 19: Jafar Panahi’s letter to Abbas Baktiari, director of the Pouya cultural center, confirms that he is on a hunger strike and explains the conditions of his treatment and the reasons for the action. Read the letter at La Regle du Jeu here. May 18: At the press conference for the premiere of his new film at Cannes, Certified Copy, Abbas Kiarostami used his platform to discuss the imprisonment of Jafar Panahi and the Iranian government’s treatment of all filmmakers, according to a report on indieWIRE. The occasion also brought conflicting reports on Panahi’s situation. Kiarostami reported that he had received word that the filmmaker may be freed today. “I got a message from Jafar’s wife and we’re hoping he might be freed today and, of course, if that does happen later today, that will be good news and hopefully I’ll be able to give that good news.” However, conflicting reports that Panahi’s sentence had, in fact, been extended by two months and that he was planning a hunger strike, also surfaced at the press conference. Panahi had beenÂ invited to serve on the jury for this years Cannes Film Festival before he was arrested and imprisoned for unspecified crimes. 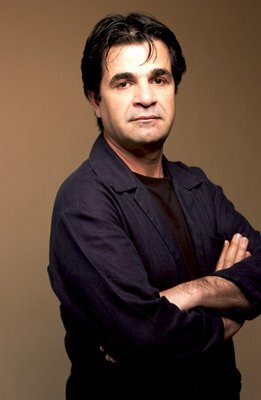 In March 2010, Iranian filmmaker Jafar Panahi (The White Balloon, The Circle, Crimson Gold and Offside) was arrested and locked up in Tehran’s Evin prison, initially for “unspecified crimes,” then on charges directly related to his work. Though Mr. Panahi’s award-winning films have brought credit to his native land, his countrymen have been banned from seeing his work during the last ten years. Worse yet, this outstanding director has essentially been prevented from making movies in recent years. Panahi suffers from a heart condition and there are serious concerns about his health. Filmmakers, film festivals and film critics all over the world have protested the incarceration of Mr. Panahi, a respected artist who should enjoy the freedom to make and screen movies for the pleasure and admiration of audiences everywhere. As members of the film community in Seattle, Washington, we the undersigneÂ deplore the detention of Jafar Panahi and strongly urge the government of Iran to release him immediately. If you are a member of the Seattle film community who would like to add your name to the list, please contact the editor of Parallax View here. 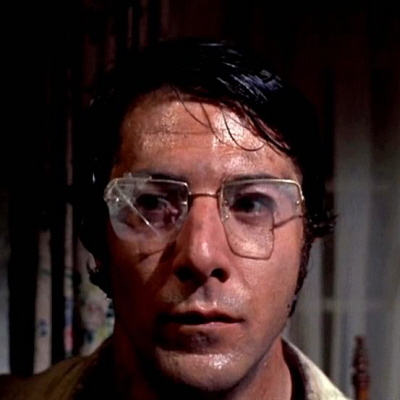 Sam Peckinpah’s Straw Dogs reminds us that in our rush to civilization, we too often deny the violent origins of our favorite myths and rituals—and pretend that the primal power of our lizard brains never was. Who wants to recall that Christian Communion is a sanitized version of the actual sacrifice—sometimes involving dismemberment and cannibalism—at the heart of innumerable pagan religions? In the time of Sophocles, it was considered beneficial to communally cathect archetypal fantasies. Now we believe that if we just aren’t reminded too often (via the movies, for instance) of the dark underside of human experience, the unpleasantness will all go away, and we’ll all be polite and peaceful together. Isn’t evil all out there, not stubbornly in residence within us? Or if within us, it’s just a matter of biochemical misfires. Retro filmmakers like Sam Peckinpah should chill out, instead of unreeling incendiary words and images. 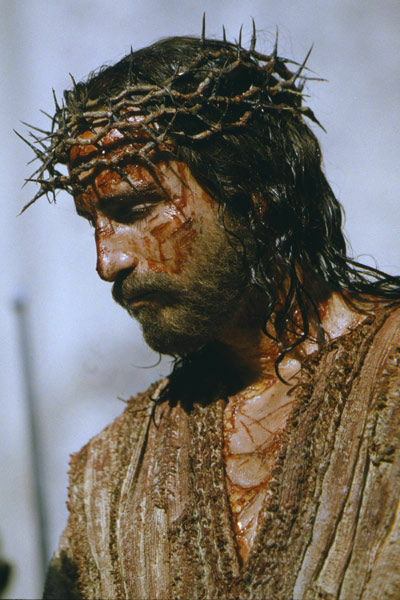 Christ's suffering: "a down-and-dirty, medieval vision of flesh ruined and violated beyond enduring"
In the week since I attended a press screening of Mel Gibson’s The Passion of the Christ, I’ve talked and argued about religion, with believers and unbelievers alike, more than I have in decades. Every film reviewer, pundit and talkshow host in the country has fervently weighed in for or against this controversial, ultra-gory reenactment of the final 12 hours of Jesus’ life. So much, frequently hysterical, verbiage has heaped up that the movie itself — the way it looks, moves, its way of shaping a primal story into art — gets buried. Indeed, many have just skipped the film entirely, so that their opinions won’t be hampered by actually experiencing the gospel according to Gibson. Take a look at the final 15 minutes of Gibson’s 1995 Oscar-winner Braveheart; it’s startling to see how literally Gibson rehearses — sometimes shot for shot — for The Passion, with himself as the suffering Christ. Praying for the strength to die well; spread-eagled on a cross; tempted by a satanic figure; empowered by the eyes of those who witness his awful torture; inspiring his followers with the sustaining legacy of Braveheart‘s last image, a sword-cross planted in the earth — the bloody end of Gibson’s Scots hero presages the formal, stylized contemplation of his god-man’s lengthier, equally barbaric Passion. I was tempted to title this posting “When the f**k did we get ice cream?” to honor one of the funniest, most surprising lines of dialogue from The Ringer, the underrated, frequently hilarious Johnny Knoxville comedy from 2005. Like many of the best lines in the film (and kudos to screenwriter Ricky Blitt for providing them in abundance), this one’s delivered by a character who is developmentally disabled. It has to be heard in context to appreciate the perfect delivery by mentally challenged actor Geoffrey Arend, but one of the main reasons it earns a big laugh is because it implies a certain degree of fast-thinking wit (and in this case, a gentle hint of oblivious distraction) in the character Arend is playing. Like most of Knoxville’s co-stars, Arend’s character (named Winston) is a competitior in the Special Olympics, and with his fellow athletes he’s a well-chosen foil for Knoxville’s character, Steve, a relatively normal (i.e. not “special”) underachiever who has reluctantly agreed to pass himself off as mentally challenged in order to fix the Special Olympics — the assumption being that Steve’s a guaranteed winner against a roster of “feebs” and “retards,” as the Special Olympians are crudely defined by Steve’s crass and classless uncle Gary (perfectly played by Brian Cox), who concocted the fraudulent scheme to pay off a high-stakes gambling debt. Knoxville (front and center) and his very capable co-stars in "The Ringer"
With regard to understanding, accepting and appreciating the developmentally disabled, The Ringer is everything that Tropic Thunder is not. From start to finish, Ricky Blitt’s screenplay and Barry Blaustein’s direction are based on progressive assumptions consistent with the pro-disability attitudes found in the comedies by Peter and Bobby Farrelly, who co-produced The Ringer. Warm-hearted, open-minded and altogether refreshing in its accurate and sincere embrace of the developmentally disabled, The Ringer presents its central squad of Special Olympians as smarter than we assume them to be; possessing skills and intelligence that defy our expectations (and those of Knoxville’s character); and prone to precisely the same emotions, desires, foibles, and faults of “normal” people. Granted, most the actors chosen to co-star with Knoxville are “high-functioning” (in the parlance of disability experts), so we’re not witnessing the full spectrum of mental retardation, but the movie’s message is clear: Underestimate these fine, respectable people at your peril. Knoxville’s character learns that lesson with appropriate humility, setting up a feel-good ending that’s well-earned and infectiously progressive in its attitude. Tropic Thunder is never intentionally offensive toward the mentally challenged, but that doesn’t get Stiller & Co. off the hook. Even if its “retard” humor is relatively brief — and even though it’s implicitly understood (by most viewers, I hope) that there’s a “wrongness” about its underlying attitude — it’s still hard to escape the film’s not-so-subtle suggestion that mental retardation is a curse on humanity. That gives Tropic Thunder the stench of bad karma — the polar opposite of the big-hearted acceptance that graces every frame of The Ringer. Going “The Full Retard”: How Far is Too Far? Many thanks to Roger Ebert and his website editor Jim Emerson for posting my letter to the editor regarding the protests by some disability advocates over the “retard” humor in Tropic Thunder. As stated in my letter, I think most people will see the film and understand that its target of satire is not the developmentally disabled but rather the silliness of Hollywood, specifically the spoiled-brat nature of pampered stars and the venality of devious agents and greedy producers. As far as it goes, the Hollywood satire in Tropic Thunder is spot-on and, for the most part, hilarious. Ben Stiller really knows what he’s doing here, and clearly this is his most ambitious film to date. Which is to say, I enjoyed the film on its merits and I’m pretty much aligned with Ebert’s 3 ½-star review. And while I have no intention of using this blog as a political forum, it must be stated that these protests — over the frequent use of the word “retard” and the film’s demeaning depiction of developmental disabilities — are worthy of serious mainstream attention. But, as always happens with protests by minority groups that the majority don’t appreciate or understand, the objections over Tropic Thunder have already been swept under the carpet, as far as the public and mainstream media are concerned. It’s obvious (from Stiller’s promotional appearances on “The Daily Show” and elsewhere) that DreamWorks publicists have declared the protests off limits for discussion — either that, or the talk-show hosts have no desire to prod Stiller (and others in the film) with questions about the controversy. One way or the other, discussion of this matter has been effectively squelched by those in charge of the film’s promotion. As a result, it’s not much of a controversy as far as the public is concerned; it’s already risen and faded in the course of the past few days. Now, I happen to believe that when it comes to humor, nothing is sacred and nothing should be sacred. Everything and everone is fair game, and we (the public) have the luxury of deciding what’s funny and what’s offensive. I’m not easily offended, so most of Tropic Thunder was right down my alley…and really, isn’t it about time someone applied some satirical payback to Willem Dafoe’s Christ-like death in Platoon? One of the joys of watching Tropic Thunder is seeing how Stiller & Co. dismantle the symbolic excess of that scene and Oliver Stone’s heavy-handed direction of it. So, when Stiller first shows us a clip from “Simple Jack” — this movie’s answer to Sean Penn’s Oscar-baiting performance in I Am Sam — it seemed clear (to me at least) that the satire was (1) way over the top and devoid of malice, and (2) the target of satire is the fact that Stiller’s character, whose film career is slumping, has made a last-ditch effort at respectability by playing a character who’s mentally retarded, since everybody knows the running joke that playing disabled is a fast-track to an Oscar nomination.